President Ram Nath Kovind administered the oath to Justice Gogoi at a ceremony which took place in Rashtrapati Bhavan’s Darbar Hall. 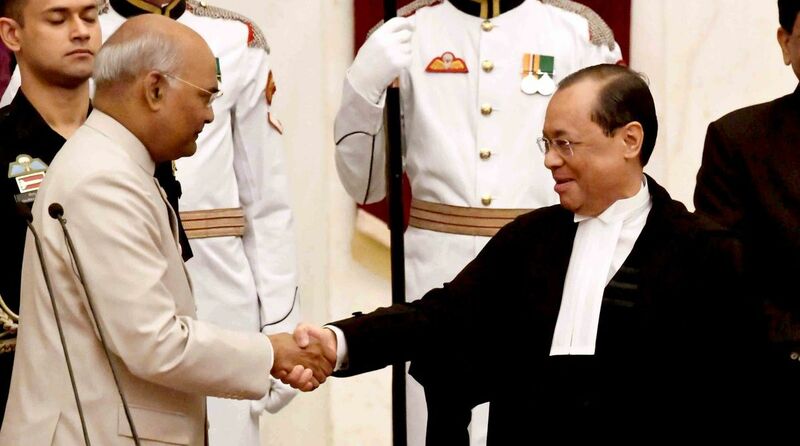 Justice Ranjan Gogoi took oath as the as the 46th Chief Justice of India on Wednesday as he succeeded Justice Dipak Misra. President Ram Nath Kovind administered the oath to the 63-year-old Justice Gogoi at a ceremony which took place in Rashtrapati Bhavan’s Darbar Hall. In an unprecedented move, the four senior-most judges of the apex court had held a press conference in January this year raising, among other things, questions over assigning cases to different judges by the CJI. Earlier in September, CJI Misra had recommended Justice Gogoi as his successor as per the established practice of naming for the post the senior-most judge after the CJI.